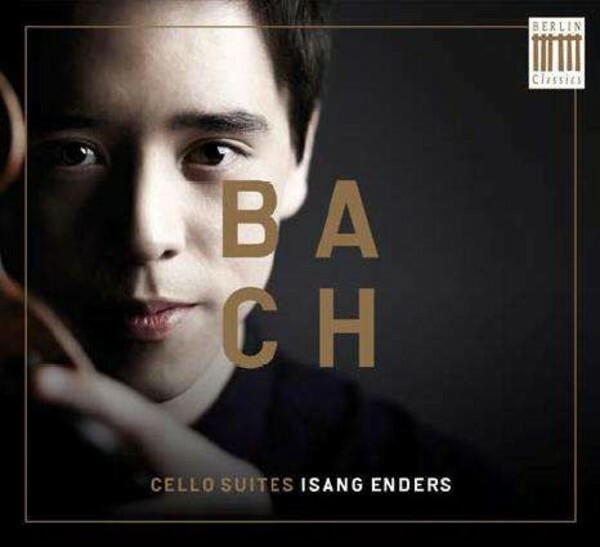 "Bach is immortal", writes Isang Enders in the foreword to his new CD of the six Suites for solo cello. "They say that Bach is the beginning and the end of all things, immortal, incomprehensible and even holy." Given this enormous challenge, no musician can be blamed for being plagued by doubts when approaching works of such calibre. And yet: "Bach's music is so human and thus always contemporary and pure. The suites should speak, they should sing and dance, hunt and contemplate � altogether subjectively and characteristically, now that I have overcome my doubts. The subjective aspect of this recording is the result of my firm conviction." These are the words of a young cellist, a high‐flyer, who led the cello section of the Dresden Staatskapelle when he was only twenty, then gave it up for a solo career. That is really all we need say - it is what marks out the Bach playing of Isang Enders from all the competing interpretations. Youthful vigour, consummate technique and a deep understanding of the works make for a perfect combination of head, heart and soul.